Premium skincare brand SK-II just recently launch their Stempower Essence for anti-aging series products and it's giveback time to the readers who supported my blog all this while and fan of beauty and skincare products. This Exclusive SK-II Stempower Essence Kit worth RM567 but selling at RM395 now includes SK-II Stempower Essence 50ml, SK-II Stempower 80g, SK-II Stempower Rich Cream 50g and Skin Signature 3D Redefining Mask 1pc (as picture above). Not just eligible for purchasing this awesome kit at such attractive price, an additional free gift of Stempower Rich Cream 15g worth RM156 for customers who purchased this exclusive promotion set if mention the code given from my blog! Mention the code above at any SK-II Counter and be eligible to buy the Stempower Essence Kit at RM395 + a free Stempower Rich Cream worth RM156. Purchase the voucher at the counter. 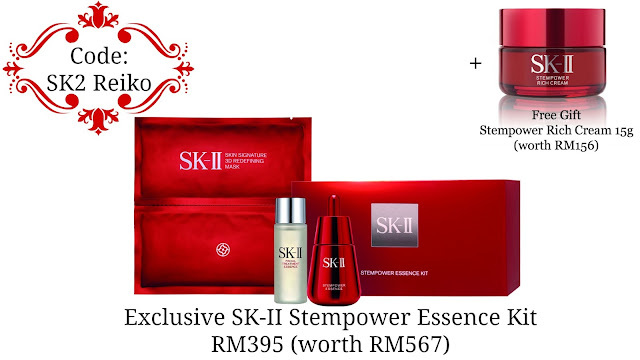 Revisit the counter from 18th August 2013 onwards with your voucher to claim the Stempower Essence Kit. Do take note that this awesome deal can be purchase from 22nd July 2013 onwards till while stocks last. So head to the nearest SK-II counter near you and purchase the voucher today! Don't forget to mention the code on my blog for the promotion price and free gift! Now you can have poreless, bouncy skin in just two weeks with SK-II's latest Stempower Essence series. 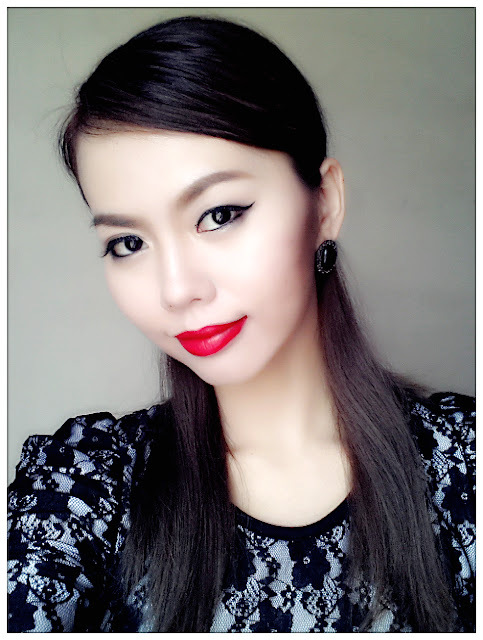 SK-II's revolutionary Stempower technology wakened skin cell's own "master switch" proved that age does not matter! SK-II Stempower Essence Series will be available on the market from 18th August 2013 onwards!